How can we engage and empower people? “Self care is not ‘no care’. A supportive collaborative conversation with clear and consistent messages is vital to engage people in their health, helping them towards better wellbeing and health for themselves and their loved ones. 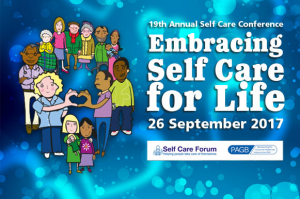 If your locality is introducing policies to reduce prescribing, or if you simply want to understand how to help people self care, I recommend you attend this year’s Annual Self Care Conference in London on 26 September. 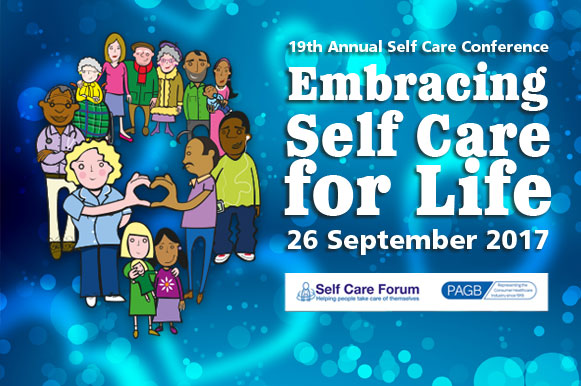 ‘Embracing self care for life’ is our theme this year. The event will include a series of practical presentations from experts focusing on ways to engage and empower people to play active roles in maintaining their own good health. These presentations will showcase successful engagement programmes and strategies and explain effective ways to educate and support people through self-care tools such as social prescribing, signposting, care navigation and public health campaigns. In addition to these short, practical, solutions-based presentations, Sustainability and Transformation Plans (STPs) will also feature prominently at the conference. Altogether Better’s Director Alyson McGregor will advise delegates on how to incorporate self care to help deliver better health, patient care and improved NHS efficiency. There is a growing urgency to engage and empower people when it comes to their health and their family’s health. With moves to reduce the prescribing of some ‘low value’ medicines available over-the-counter, there is a real danger that people and patients will be left high and dry without any support and education on what to do when they have symptoms that are worrying them. The Self Care Forum is not a political charity and therefore does not have a view on what should and shouldn’t be available on the NHS - we understand the limitations of finite resources. However, as a health charity we are keen for this policy decision to be handled carefully and sensitively by engaging with local populations and explaining the reasons these changes are happening. There also needs to be a co-ordinated and comprehensive self care programme, ideally implemented both nationally and locally, to support and empower people and patients to better look after their health. Health literacy is always an important focus of this conference. Sixty per cent of working age adults in England find health information too complex. Without good levels of health literacy, people are unable to process and understand simple health information and make appropriate health decisions. As a consequence, they are disempowered when it comes to looking after their health and accessing health services in a timely and appropriate way. A tool or service is only useful if people know it exists and how to use it. This disempowerment is accelerating the problem of demand in the health service and we must find ways to engage and empower people to help them and to help the NHS. For more details about our work visit Self Care Forum or contact selfcare@selfcareforum.org. 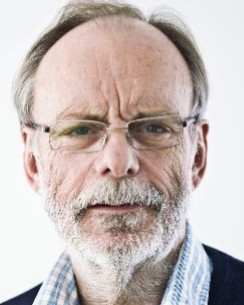 Ten years on - what can we make of personal budgets?